So I just binge-watched the first two seasons of HGTV’s Fixer Upper. 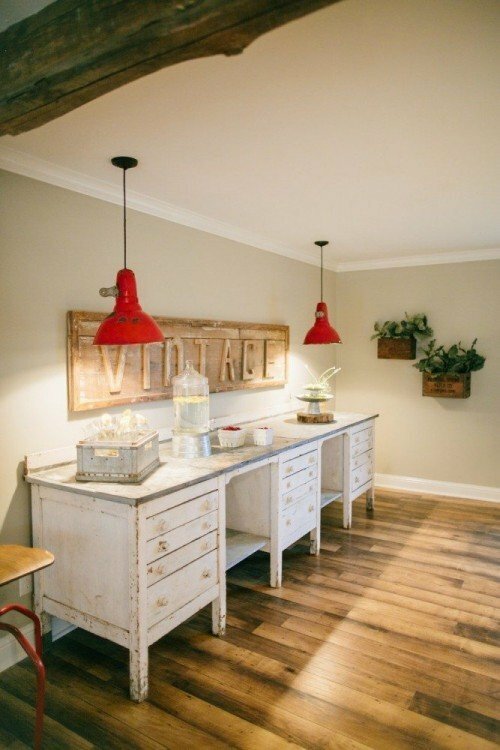 I suppose I’m a little late to that party, but I absolutely love that farmhouse style! I love the paint colors, the simplicity, and the character of all of the designs. Joanna, Chip, and their entire team are some super talented folks, so is it even possible for a novice like myself to get that look? I think so! 2. Mix your materials and textures. Joanna uses a variety of mediums and materials- wood, metals, leather, cloth, etc. Hardwood floor is almost always a design feature in a Fixer Upper house. Wood elements help your space feel warm and inviting. But don’t stop there…. Layer textures with a high-pile textured rug such as a jute. You can also bring in the warmth of wood with a piece of wooden furniture. 3. Use something architectural and unexpected as a decor center piece. Whether it be large shutters behind your couch or some old windows above your fireplace. This is my favorite aspect of Jo’s designs. I love seeing how she uses different architectural and industrial pieces so effortlessly in her designs. Items like these are found at antique festivals and shops. Your not going to find these one-of-a-kind pieces at your normal home decor store. The hunt for the treasured item is half the fun. 4. Use greenery. Nothing says fresh and clean like a vase of flowers or some greenery. These do not have to be living plants. Hobby Lobby has a great selection of faux greenery that fit the “Fixer Upper” style. 5. Declutter and find new uses for things you already have. All of Jo’s designs appear effortlessly simple and fresh. She does not clutter or over decorate- and almost all items have a useful purpose. Sometimes less is more. The “Fixer Upper” style is not something you can achieve over night. Although Jo makes it seem that way on the show. But hours of planning have been spent before she ever even steps into”design day.” This style takes time and will evolve over time. Just as it has with Joanna Gaines. If you look back at some of her first design reveals you can truly see how far she has came as a designer. But starting with these 5 basic steps will get you on the right path to your very own fixer upper!